Continue reading Global Menu’s Returning! 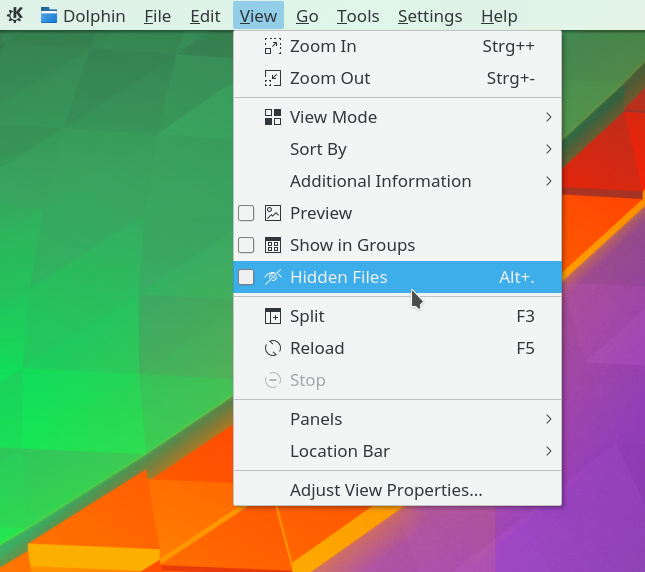 Posted on 2016-10-26 Categories Planet KDE35 Comments on Global Menu’s Returning! KDE is turning 20, let’s celebrate! Please ping me and/or add yourself to the Wiki page, if you’re around and planning to come (contact info can be found in the Impressum, or tell kbroulik in #plasma on Freenode), so I can extend the reservation, if needed. In a couple of days Akademy will start and it’s co-hosted with QtCon in Berlin. This will be a super exciting event bringing together not just KDE folks but also enthusiast people from Qt, FSFE, and VideoLAN. I’ll be giving a talk on what it’s like to use Qt to compete on the mobile app development market. See you all soon! I recently stumbled upon a feature request about the ability to drop files onto a task manager entry to have the associated application open them. You can pin applications to the task manager after all, so why would those launchers behave differently from other application icons? When I arrived in beautiful Randa on Sunday, the week seemed like it would never end but it’s Saturday already and tomorrow I’ll be leaving again. It’s been an extremely productive week – in the few days since my last blog post I managed to fix a tremendous amount of bugs and added lots of new features and improvements throughout the workspace. For the first time I managed to go to Randa, a beautiful quiet village in the Swiss Alps. Here at Randa we’re currently having a week of intense hacking sessions and cross-platform porting and planning efforts. 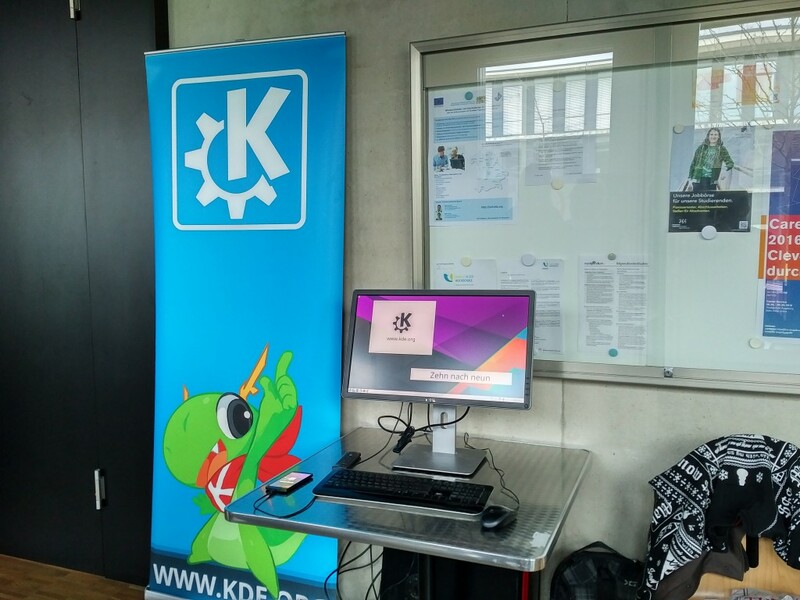 One of the lesser-known features in KDE Applications and Plasma is the Kiosk Framework, a means of restricting the customizability of the workspace in order to keep users in an enterprise or public environment from performing unwanted actions or modifications. Unfortunately, it hasn’t seen much love lately. However, a couple of weeks ago, we received some feedback about the state of Kiosk in “40 classroom installations” of Plasma on our Enterprise mailing list which David Edmundson and I tackled immediately. Within a couple of days we could already remedy the majority of shortcomings revealed. On Saturday, 16 April I had the honor of representing KDE at the 15. Augsburger Linux-Tag, one of the oldest and largest Linux gatherings in southern Germany. Next Saturday I’ll be in Augsburg at the 15th Augsburger Linux-Infotag. Here you’ll have a chance to meet in person, have a look at the latest and greatest Plasma Desktop and try out Plasma Mobile and Plasma Media Center. We’re experienced in nuclear fusion! In less than 24 hours more than 40 people, including me, from various KDE projects will gather in beautiful Geneva at CERN to shape the future of KDE. 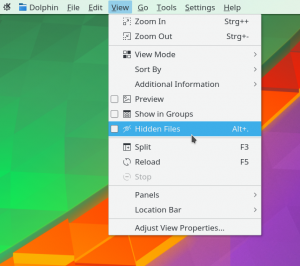 With Plasma 5.6 Beta out the door, we can now concentrate on Plasma 5.7 and beyond. Posted on 2016-03-06 Categories Planet KDE1 Comment on We’re experienced in nuclear fusion!